I'm about to present something I've been working on recently. Something I'm really happy about! 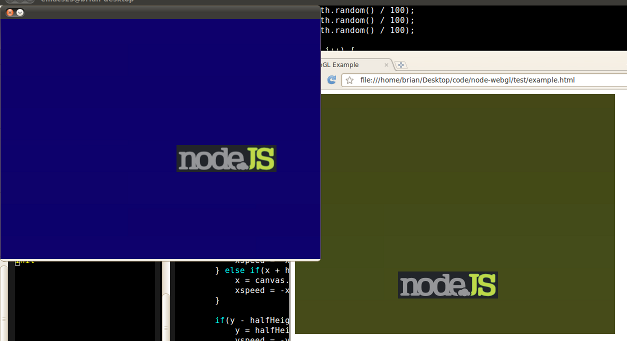 A WebGL implementation for node.js! I've chucked it up on GitHub but if you're having a go, be aware that I've only implemented enough OpenGL calls to run my example. I'd really appreciate any help implementing the other functions. This project is part of something much bigger. Imagine easily writing games or multimedia applications that run in the browser and on the desktop without changes. Stay tuned.